The perennial debate gets a new coat of cheer from Donald Trump. 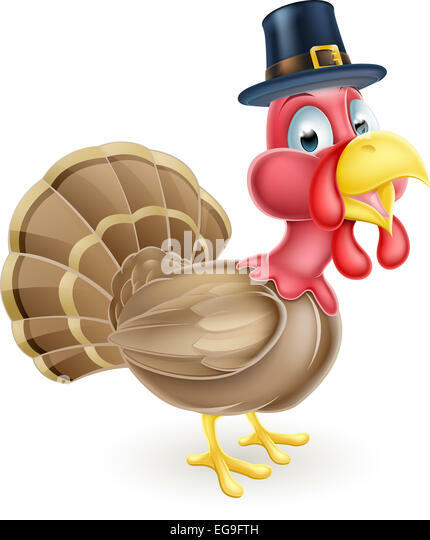 The ruckus around whether to say “Merry Christmas” or “Happy holidays” usually starts at the end of Thanksgiving, as retailers take down the turkeys with pilgrim hats and hang wreaths instead. Most of the time, it’s confined to the letters section of the local newspaper. Conservatives agree. A poll conducted earlier this month by the Public Religion Research Institute found 67 percent of Republicans don’t think it’s necessary for businesses to ditch a Christmas greeting for “happy holidays”; only 30 percent of Democrats feel the same. Party preference was the sharpest dividing line on this question, but young people are also far more likely to prefer a non-denominational salutation (67 percent), as are black Americans (69 percent). Is this new? Not especially. PRRI asked the same question three years ago; Republicans largely felt the same way, though slightly less strongly (only 61 percent of Republicans reacted negatively back then). But “happy holidays” is a particularly Trumpian pain point—non-traditional, multi-cultural, and driven by a sensitivity to others who, you know, don’t actually celebrate Christmas. Ironically, it’s a Christian-friendly greeting at its root; “holiday” stems from the Old English for “holy day.” For much of the United States’s history, it would have been given and accepted by Christians without a bat of the eye, understanding that the holidays in question were those of Advent, or perhaps Christmas and the Gregorian new year. Only relatively recently has it become a catch-all for people of other religions. This sensitivity didn’t always provoke backlash from the right. Political science professor David Greenburg noted a few years back in Slate that Dwight Eisenhower had mailed non-denominational cards in the 1950s, to little outcry. Mary Evans Seeley's book Season's Greetings from the White House: The Collection of Presidential Christmas Cards, Messages, and Gifts shows that "Season's Greetings" was used on White House holiday correspondence by no less than Dwight D. Eisenhower in the 1950s. Likewise, Presidents Kennedy, Johnson, Carter, Reagan, and Clinton all took care, as well, not to alienate non-Christian recipients of holiday mail. Few people expressed a problem with this long-standing practice until now. But at some point since then, the growing popularity of “happy holidays” has been derided as an attack on Christmas. The New York Times traces the trend back to 2005, when Fox News host Bill O’Reilly turned railing against “happy holidays” into a bit of an annual tradition on his program. That same year, President George W. Bush followed Eisenhower’s example and wished his Christmas card recipients a happy “holiday season,” a turn of phrase that prompted no end of bile. “This clearly demonstrates that the Bush administration has suffered a loss of will and that they have capitulated to the worst elements in our culture,” William Donohue, president of the Catholic League for Religious and Civil Rights, told The Washington Post at the time. To be clear, Christmas is in no danger of disappearing: 89 percent of Americans observe the holiday, PRRI found. Conservative do have a point, however, about how Americans are celebrating Christmas. This year, 27 percent told PRRI their Christmas isn’t particularly religious — exchange presents, have a meal, head on home. That’s a 10-point jump from 2010, when only 17 percent of Americans said the same. Christmas is growing more secular, and has been doing so for decades. But anxiety among religious conservatives on this issue, like countless others this year, has been magnified many times over by the force-multiplier of the Trump campaign. Last year, it wasn’t clear whether he aimed to tweak liberals or score points with conservatives with his denunciations of “happy holidays.” It doesn’t really matter. Deciding the role religion should play in American civics is an open and valid question. But framing that decision as a debate over holiday greetings seems a bit small-time.